There are no happy families in Simenon. The Others concerns one such family, the provincial bourgeois Huets, whose tensions and grudges are thrown into relief by the suicide of the wealthy patriarch of the clan, Uncle Antoine. The novel is narrated, loosely in the form of a diary, by Antoine’s nephew, Blaise, a dissatisfied art teacher and frustrated novelist. The action takes place over the week or so between Antoine’s death and the day of his funeral. Various members of the family are introduced: Colette, Antoine’s forty-year-old wife, an erratic ‘nymphomaniac’ about whom Blaise entertains sexual fantasies; Irène, Blaise’s wife, who is having an affair with their charismatic friend; Blaise’s solid, religious brother, Lucien; and a third brother, the womanising black sheep, Eduoard. During the war, Eduoard betrayed Lucien, a member of the resistance, to the occupiers and, for the sake of his sister-in-law, Blaise attempts to broker a reconciliation between the two men. Unlike the majority of Simenon’s novels, which follow a single character and single narrative thread, The Others juggles multiple sub-plots, none of which feels fully developed or dominant. To this extent, the novel is somewhat unsatisfying. On the other hand, if we accept that the portrayals of some of the characters are sketchy, what we have instead is a more fully-realised portrait of a family. It is as if Blaise has looked along the line of relatives assembled at the funeral and devoted a few pages to each of them. What we have then, is less a novel, than a series of skilfully interwoven short stories, which together form an exposé of an outwardly reputable family. We are now in familiar Simenon territory – scratching beneath the veneer of bourgeois respectability. What is revealed is mental illness, simmering enmities, deceit, adultery and resentment. Uncle Antoine died on Tuesday, on Hallowe’en, probably at about eleven in the evening. That same night Colette tried to throw herself out of the window. The street lights had just been turned on. I walked along Rue de la Cathédrale, then along Rue des Chartreux, looking at the same shop windows I used to look at when I was sixteen. And there we have it: the Simenon archetype, the solitary outsider looking in. For all the dramatic events related in the previous pages, nothing has changed. 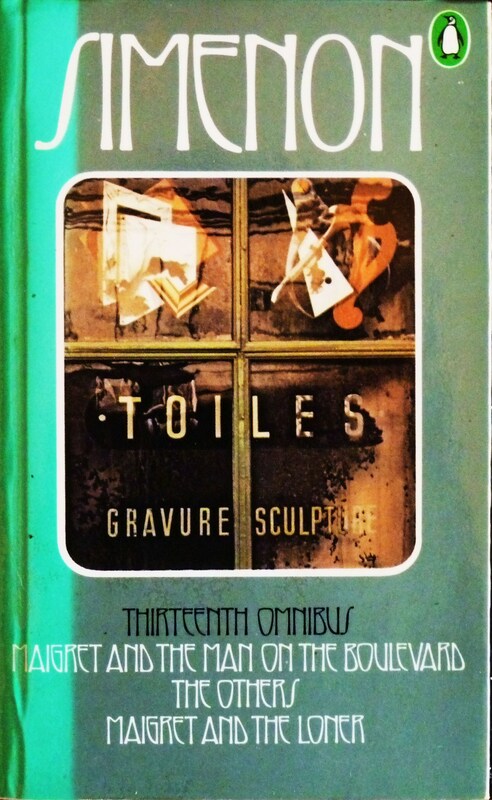 First published as Les Autres, 1962. Published in the UK in the Thirteenth Simenon Omnibus, 1978. Translated by Alastair Hamilton. Also known as The House on Quai Notre-Dame.